Veteran archaeologist John McRay sheds light on the biblical text by examining archaeological discoveries in Archeology and the New Testament. As he tours sites associated with the ministry of Jesus, the journey of Paul, and the seven churches of Revelation, he shows the pervasive influence of society, architecture, and religion on the peoples of the first century and on the New Testament. The book includes maps, charts, diagrams, a glossary of terms, and more than 150 photographs that help the ancient world come alive. Now in paper. 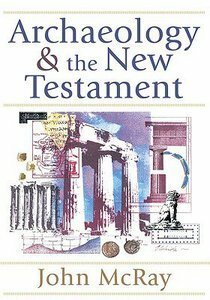 About "Archaeology and the New Testament"
John McRay (Ph.D., University of Chicago) is professor emeritus of New Testament and archaeology at Wheaton College Graduate School in Wheaton, Illinois. He is the author of Paul: His Life and Teaching; Archaeology and the New Testament and co-author of Biblical Archaeology.